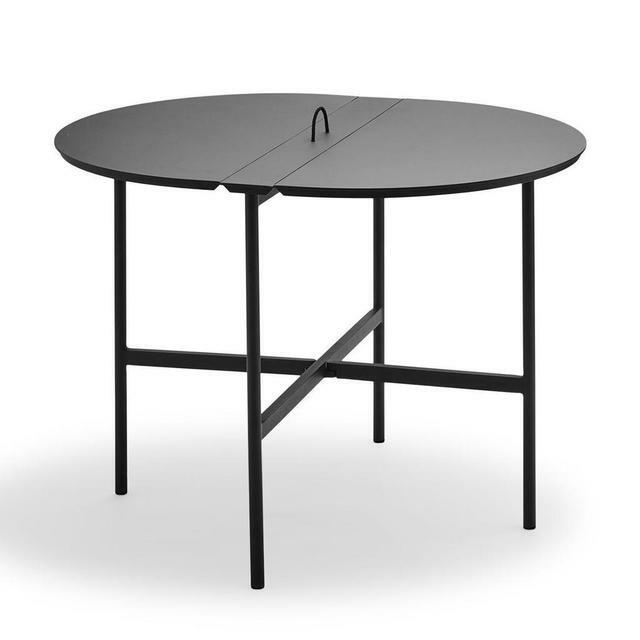 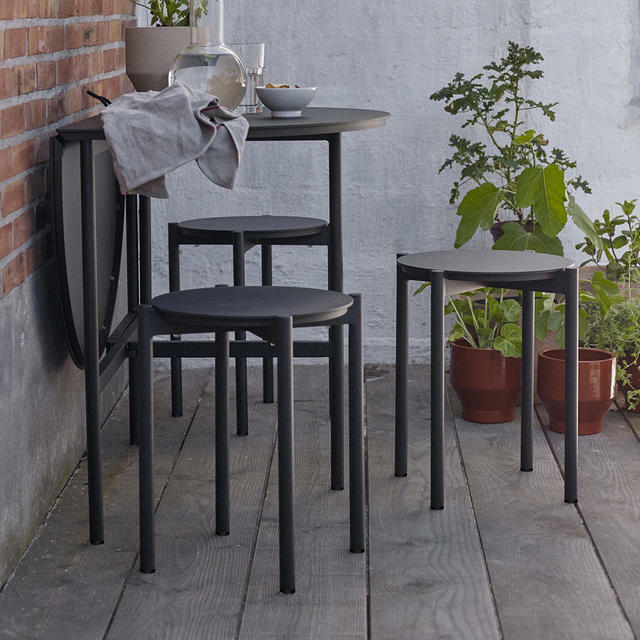 Perfect tables for small urban spaces or balconies where space is really a premium. 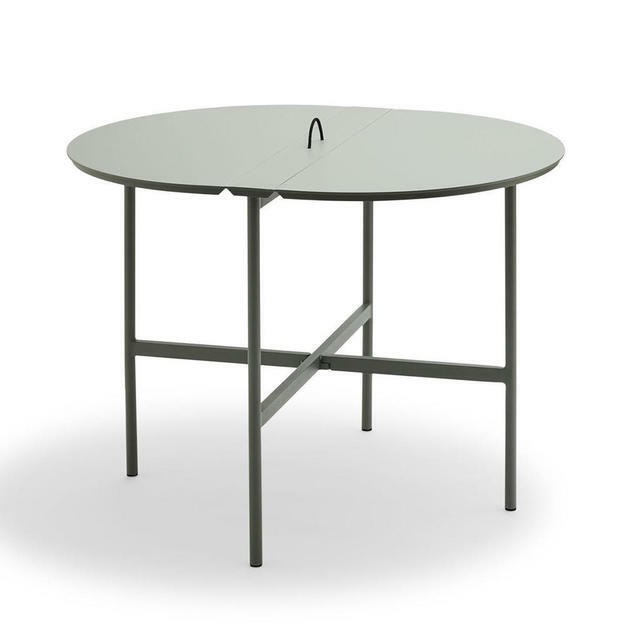 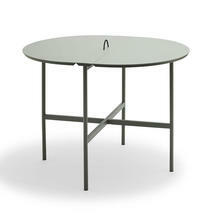 These fold-down oval tables are based on the traditional, classic gate leg tables with fold down tops. The table is great for small urban spaces, or balconies where you may not need table to be fully extended out all the time. The table can be opened to a half moon size, to seat 2 adults or maybe 3 children comfortably. 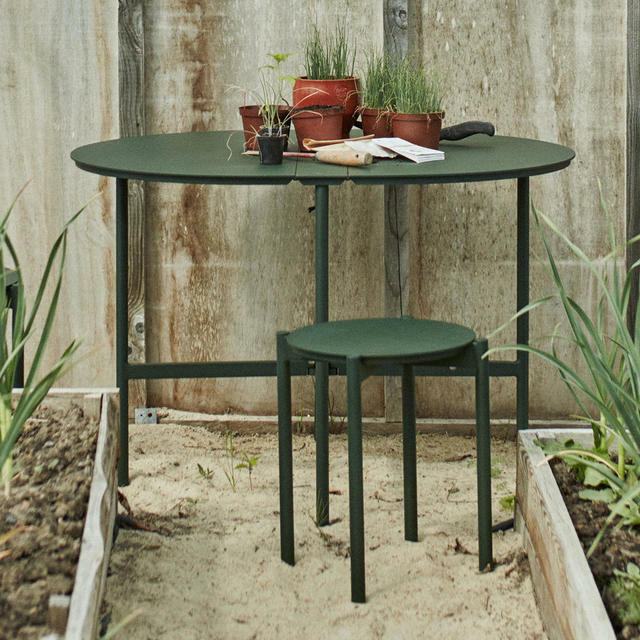 Opened fully, the table will seat 4-6 people depending on the size of chair or stool used. 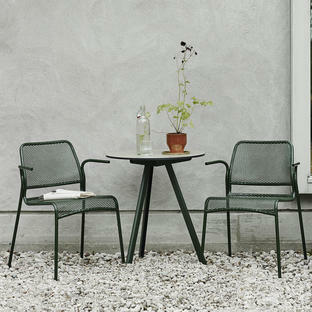 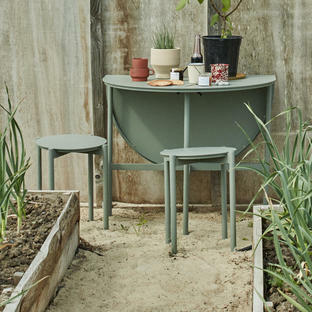 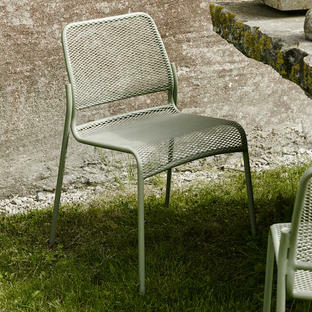 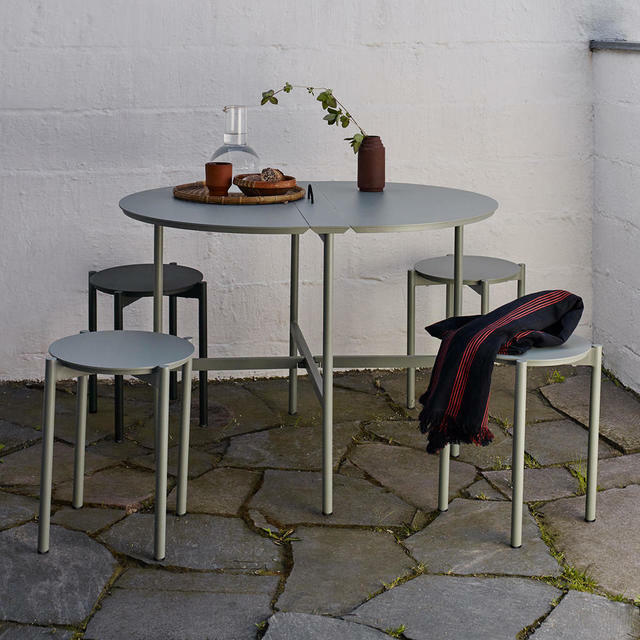 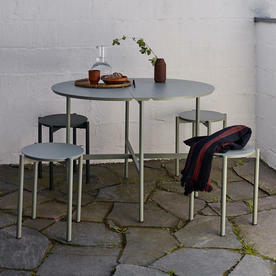 The Picnic table works perfectly with the Picnic stools from the same collection by Skagerak. Widest Length across the centre is 85cm.